We wanted to create a beautiful promotional gift we could give to current and prospective clients. What better than something that would stick by their side, be taken to meetings and be cherished for its beautiful tactile nature? 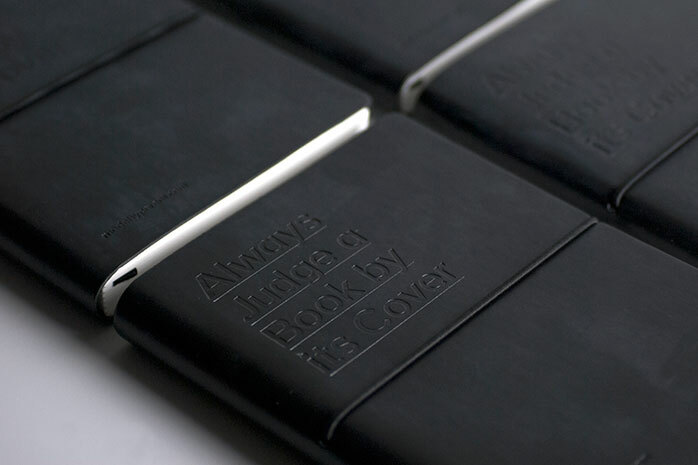 Made from the finest italian leather and subtly debossed with ‘Always judge a book by its cover’ and the parent logo, the notepad was the perfect gift to leave behind.